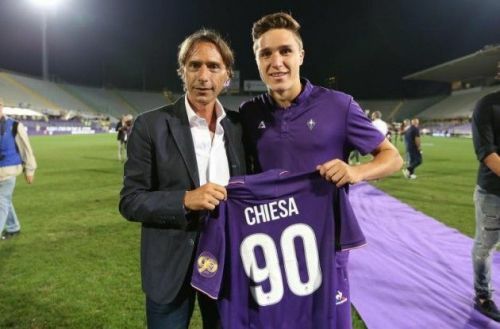 Like father, like son: Could Federico Chiesa be the saviour of Italian football? 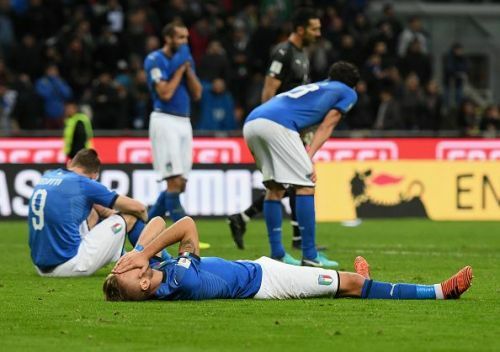 Italian football sank to an all-time low when the four-time world champions failed to qualify for the 2018 World Cup in Russia. It was the first time the footballing superpower had failed to qualify for the tournament in 60 years. But the decline of Italian football had been on the cards already; after winning the tournament in 2006 the Azzurri crashed out of the group stages of the 2010 and 2014 editions. Several reasons have been given for the downfall of Italian football. One popular reason is the inability to develop good youth programs and consequently the shortage of quality local talent. Surprisingly, Italy have never even made the final of a U17 or U20 World Cup in their history. However, in Fiorentina's Federico Chiesa, it seems that Italy have found their diamond in the rough. Chiesa is a popular name in Italian football as Federico's father, Enrico Chiesa, was capped 22 times for the national team. Enrico was a deadly striker who played well over 500 games for Italian clubs, including Fiorentina, Parma, Lazio, Sampdoria amongst several others. At 21 years of age, Federico has all the potential to surpass his father's footballing exploits. Federico's hat-trick against last year's Champions League semifinalists Roma in a 7-1 Coppa Italia victory was the first of his career, but it was yet another example of how explosive the attacker can be. Now in his third season with Viola, he is the star of a very young but exciting Fiorentina outfit. In goal, Fiorentina has 20-year-old Alban Lafont who has adjusted to life well in Italy. At the back is 21-year-old Nikola Milenković, who was linked to Manchester United and started all three games for Serbia in the World Cup. And up front alongside Chiesa is Argentina prospect Giovanni Simeone. Chiesa has yet to score for the Italian senior team, but if his current form suggests anything, he will grab quite a few in the famous blue shirt. The ability to operate on either flank or through the middle makes him a supremely dangerous asset. In the past, the youngster has been criticized for failing to have an end product. But this season he is putting that negative to bed, having already surpassed his highest ever season goal total halfway through the season. If Italy are to rise to the pinnacle of world football again, the progress of Federico Chiesa could be very important. Sometimes it does not always go as planned; the last Fiorentina wonderkid Federico Bernardeschi's career has somewhat stalled since his big move to Juventus. 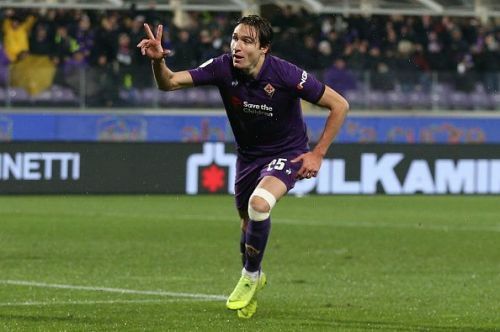 For the sake of Italian football, with the biggest of football clubs showing interest, Chiesa should make every decision with caution. Luckily for him, he has a legendary father in Enrico Chiesa to assist.